The first camera I ever bought was the Sony Cybershot DSC-F717. That’s when I first had enough money to be able to afford my very own digital camera and really take up photography as a hobby. At a price of around 1000 USD it wasn’t exactly cheap either and it was definitely more of a prosumer camera. Soon after that I upgraded to the newer model, the Sony Cybershot DSC-F828, and after that the Sony Cybershot DSC-R1. I shot my first small paid assignments with the Sony DSC-R1. It was an awesome camera — the first fixed-lens camera to feature a large CMOS sensor with live preview. In an older post from 2007 I had already described what I liked so much about this camera. Specifically the live preview and electronic viewfinder simulating the exact exposure before you took the shot, the fact that you could focus anywhere on the screen by moving the autofocus point around with the joystick button, and the articulating LCD screen that made it possible to take pictures from very difficult angles and positions. In fact I very rarely used the viewfinder and preferred working with the LCD screen, because it was also more comfortable that way and made it easier to communicate with people when shooting portraits. However, as I grew as a photographer the relatively slow speed (slow contrast detect AF and small buffer and write speed) of the DSC-R1 started to become a limiting factor. In addition I wanted to be able to use different lenses. But at that time Sony hadn’t gotten into the DSLR business yet (it would take a while before they bought Konica/Minolta and started offering DSLRs), so there were no other options for me than to look at Canon or Nikon as an alternative. When I bought my first DSLR — the Canon EOS 40D — it took some serious getting used to the lack of live view with exposure simulation, the lack of autofocus in live view and the lack of an articulating LCD screen. In addition, autofocus was limited to a small area at the center of the screen (I complained when even the 5D Mark II had this problem), whereas on the Sony DSC-R1 I could autofocus anywhere on screen allowing me to get the exact composition I wanted when taking the shot. On the other hand I loved the speed and responsiveness that was typical of DSLRs as well as the wide range of lenses that became available. I sent my feedback to Canon back then and have consistently been asking for the missing features ever since. If you take a look at my Canon EOS 5D Mark III review from 2012, you’ll notice that I mention the articulating LCD screen, the electronic viewfinder and better contrast detect autofocus covering more of the screen as the important features we’re waiting for. Much of that was still missing 4 years later when the 5D Mark IV was released. With Sony’s announcement of the α9 time has finally run out for Canon as well as Nikon. Not only does the α9 have everything I mentioned above, but it far exceeds all expectations and blows everything else away leaving the competition behind by a huge distance. The α9 can take 20 shots a second at 24MP, while autofocusing/tracking using 693 autofocus points that cover 93% of the screen, all with no viewfinder blackout — and in fact with live preview and real-time exposure simulation. And it does so silently while also featuring 5-axis in-camera image stabilization (so it works with all lenses). It’s the camera I wanted back in 2007. And the smaller size of the α9 body is also a big plus as far as I’m concerned. If Canon’s coming offerings don’t include an electronic viewfinder, articulating LCD screen and autofocus/exposure options at least as good as the Sony α9, it will be the end of them. Many photographers are already seriously considering switching to Sony and I know that I’ll be switching as well. Why is it so difficult for Canon to leave out the mirror in the EOS 5D and add an electronic viewfinder and an articulating LCD screen? 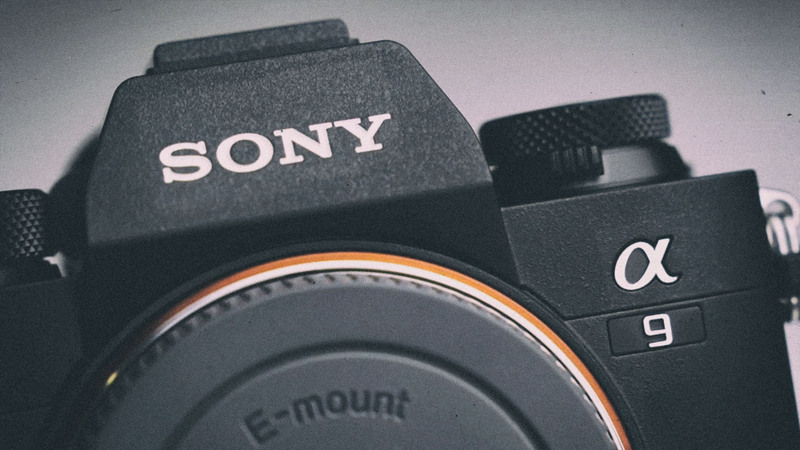 Sony has proven that Canon just haven’t been doing their best to innovate and to give photographers what they actually want. It’s taking way too long. Sony is also currently hard at work to close the lens gap and they’ll be adding more native professional lenses to their lineup in the near future. For example, along with the α9 they also announced the FE 100-400mm f/4.5-5.6 GM OSS lens. So the advantage Canon currently has with a wide variety of (specialty) lenses won’t stay very long either. I was looking at upgrading my Canon lenses and possibly getting a Canon EOS 5D Mark IV sometime in the future when the price has dropped to a more reasonable level, but as it stands now, I’ll be freezing my photography gear in its current state and will be waiting to see what Canon is going to do with the 5D Mark V. If it’s not going to be at least as good as the Sony α9 I’ll be switching to Sony. This entry was published on Thursday, April 27th, 2017 at 1:23 pm by Karel Donk and is filed under Hardware Personal Photography. You can use the permanent link to bookmark and/or share it.